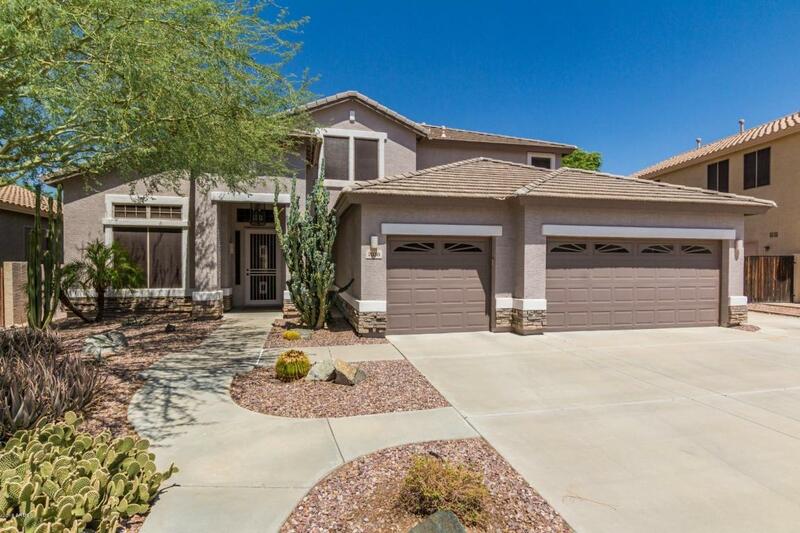 Great 5 bedroom, 3 bath home w/ pool in Peoria. Perfect home for entertaining. Grand entrance w/ vaulted ceilings. Formal living & dining rooms. Open kitchen features granite counters, extensive cabinets, stainless steel appliances, gas stove, pantry, large island & eat-in kitchen. 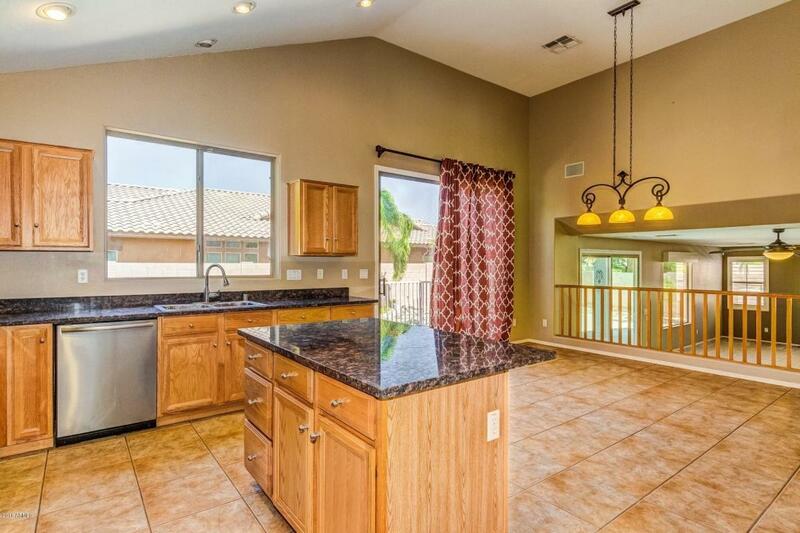 Kitchen overlooks huge family room. Multiple exits to backyard oasis w/ pebbletec pool w/ waterfall, grass area, covered patio & two balconies. Mountain views. RV gate w/ concrete pad great for toys. 2 bedrooms downstairs w/ full bath. 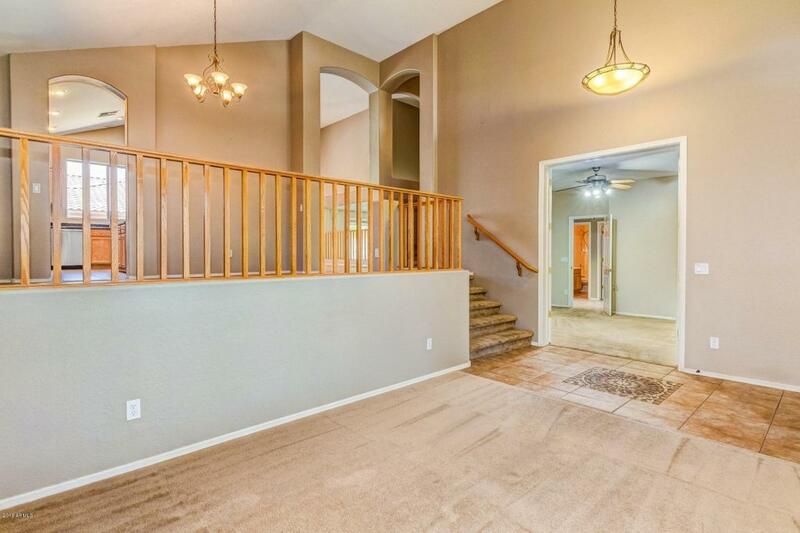 Master retreat w/ balcony exit. 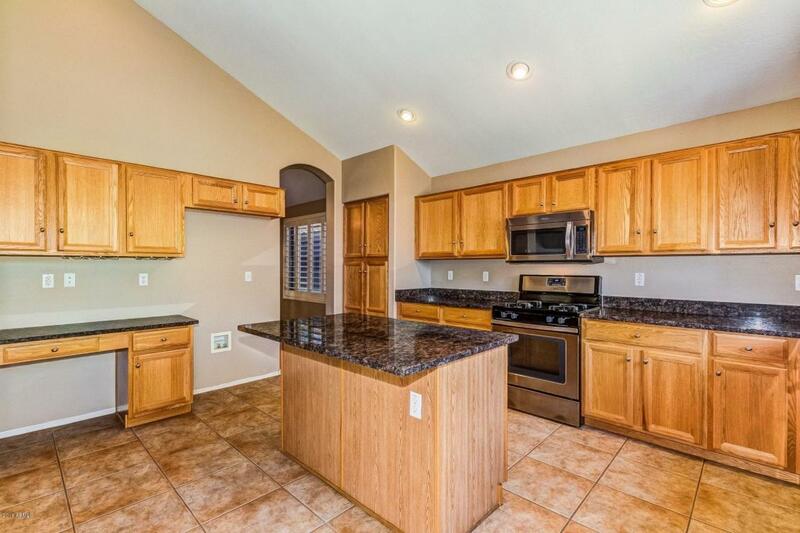 Master bath has dual sinks, separate shower & garden tub, & huge walk-in closet. All secondary bedrooms are good size. Plantation shutters. Desirable Terramar neighborhood with city parks, walking paths and K-8 school. Walk to shopping & dining.